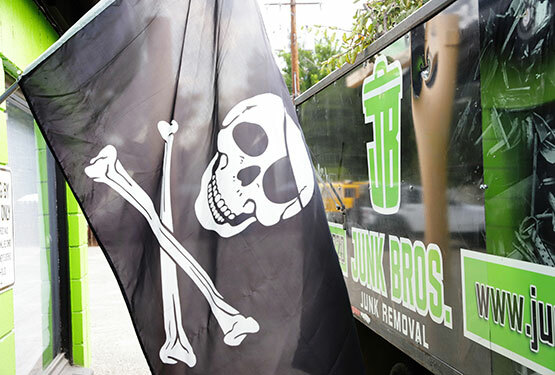 A junk removal company is exactly what it sounds like. They remove junk from your house for a fee. Typically, they deal in trash and other bulk items but they can remove just about anything. The junk removal industry has actually been growing lately. Research has found that people are trending away from materialism that defined earlier decades. They do not emphasize having expensive items or a lot of something; instead, people are trending towards experiential expenses. They’re paying for experiences. That means that many people are downsizing their possessions. If you get rid of clutter, you’ll have more space for living and possibly more money for experiences. Oftentimes, people find that they are running out of space for all of their items. In order to make space for it, they will often build storage space or rent a storage unit. This is obviously not free. That means you’ll be spending money simply to keep items that you, by definition, don’t use. Instead, you could have them removed by professionals. You could sell them or recycle them. Alternately, you could have a junk removal service remove trash from your house or storage space. That will then free up space for those items that are in storage. You can move those items into your house and save money on the storage unit. Furthermore, you’ll have space for the things you pick up on your new experiences. If you are trying to shift to a more experiential mode, you will need space for souvenirs and keepsakes from your travels. It’s also possible that you’ll be able to make money on your junk removal as well. There are a few ways to do this. You can make money on the scrap that is produced by the junk removal; you can also make money reselling items from your home. Many people choose to turn their homes into a home office for a small business. To do that, you’ll need to remove the junk first. All of these are great options and benefits of hiring a junk removal company. You should hire professionals because you don’t know what you might discover as you remove junk. It’s not uncommon to find old chemicals, sharp nails, and other dangers. A junk removal company will be equipped to dispose of these dangerous items in the proper way. Even something as common as motor oil must be disposed of in a particular way.